Buy this item and earn 30 points valued at 3.00¤. 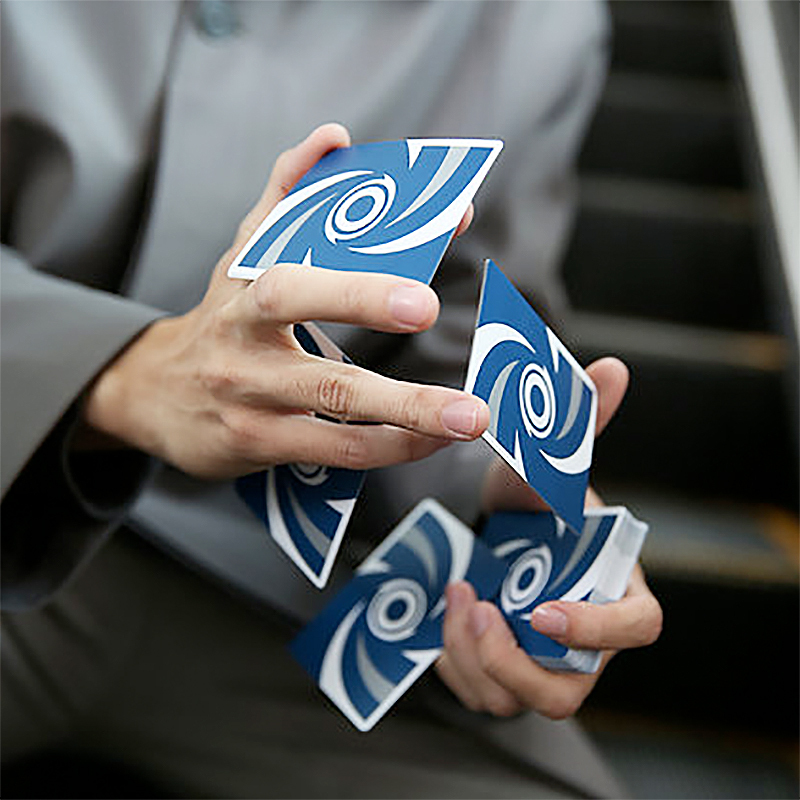 Ventus playing cards is a deck designed specifically for the art of card flourishing. The back is designed to resemble a vortex that looks like it¢s spinning even when the card is held still. The way the borders melt into the back design creates an illusion that will enhance even the simplest movements. The semi-borderless back and the colored stripes on the faces are also designed with painstaking detail to produce a variety of stunning fans. As an extra touch we also designed the ace of spades and the ad cards specifically for spins. All this is packed in an elegant box with a matte finish, embossing, and silver foil. The deck is printed in Taiwan on the new softer and thinner Luxury stock. It also has the latest finish from the Taiwan factory that helps the deck fan more evenly for longer. • The cards are poker size.